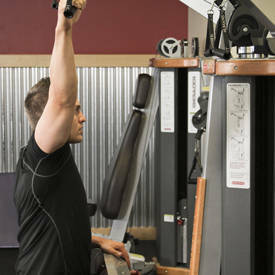 Also known as One-Arm Lat Pulldown, Single Arm Lat Pulldown, and Single-Arm Pulldown. Select an appropriate weight and adjust the knee pad to help keep you down. Grasp the handle with a pronated grip. This will be your starting position. Pull the handle down, squeezing your elbow to your side as you flex the elbow. Pause at the bottom of the motion, and then slowly return the handle to the starting position. 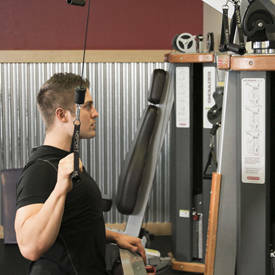 For multiple repetitions, avoid completely returning the weight to keep tension on the muscles being worked.